Perfect home in a perfect setting. This beautiful custom home is located in the popular Capstone Forest neighborhood in the heart of The Woodlands. Lots of updates including Kitchen, light fixtures, hardware. Slate and hardwood floors. Additional features include Jack and Jill bath plus teen or guest en suite with private bath. Raised Game room with French doors for noise control. Study is tucked away down a private hallway. Master has a door to the tropical back yard with saltwater pool.Saltwater pool in 2012. Roof in 2010. 3 car garage has a huge walk up attic for storage or future living space. Pool bath is plumbed. Walk to Powell Elementary, The Woodlands High School and Capstone park with lighted tennis and basketball courts. Directions:From I45, go West on Research Forest past The Woodlands High School. Turn left on E. Capstone Circle. Left on N. Flagstone Path to a right on Pale Dawn. House is at the end of the cul du sac on the left. SchoolsClick map icons below to view information for schools near 6 Pale Dawn Place The Woodlands, TX 77381. Listing provided courtesy of BHGRE Gary Greene. Home for sale at 6 Pale Dawn Place The Woodlands, TX 77381. Description: The home at 6 Pale Dawn Place The Woodlands, TX 77381 with the MLS Number 7399703 is currently listed at $589,900 and has been on the The Woodlands market for 73 days. 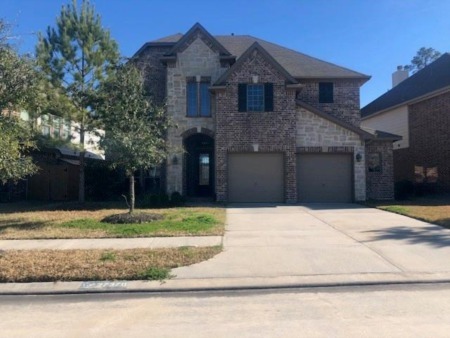 You are viewing the MLS property details of the home for sale at 6 Pale Dawn Place The Woodlands, TX 77381, which is located in the Wdlnds Village Cochrans Cr 4 subdivision, includes 4 bedrooms and 4 bathrooms, and has approximately 3805 sq.ft. of living area.